The Lord of the Rings is popular. Very, very popular. There is also a strong overlap between those who like LotR, and those who play video games. So it’s quite strange that there has yet to be a good game set in Middle-earth – we’ve had mediocre movie adaptations, but nothing truly epic. Based on our brief time with Middle-earth: Shadow of Mordor, it seems like the franchise is finally getting the game it deserves. 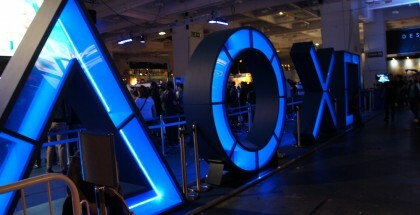 We played 20 minutes or so of the PS4 version at EGX, and it definitely impressed. Plot details were understandably thin, but the basics are that you play as Talion, a ranger with wraith-abilities. The task in the demo was to brand Sauron’s war lords with your mark, in order to take control of them. This inevitably involved a lot of combat, which is where Shadow of Mordor’s influences become clear. The fighting feels an awful lot like Rocksteady’s Arkham series, with fluid and rhythmic pacing contributing to a feeling of power. Entering the “wraith mode”, you can teleport across a map and instantly take an enemy out, which serves as a powerful entrance into an extended combat sequence. If and when you become overwhelmed, the Assassin’s Creed-like traversal features allow you to quickly make an escape. More interesting than the combat itself are the unique features of Shadow of Mordor. Instead of killing an orc, you can brand them: effectively possessing them so that they fight for you. Taking that a step further, you can “dominate” one of the more senior orcs, giving them commands that help you to achieve your objective. For example, in the demo finding and branding a war lord itself would have been very difficult – they’re surrounded by tons of enemies in a well-fortified fort. Instead, I went after a senior captain, who I branded and dominated. I then helped him to move up the ranks, becoming a bodyguard to the war-lord. Once this was done, I could command him to betray and kill the war-lord: achieving my objective without having any direct contact with the victim at all. This is part of the game’s “Nemesis System”. Your enemies have stories and personalities, and each has an individual identity. They fight amongst themselves, vying to become more powerful and respected. If an orc kills you, they’ll get promoted: if you encounter them again, they’ll reference your previous fights. 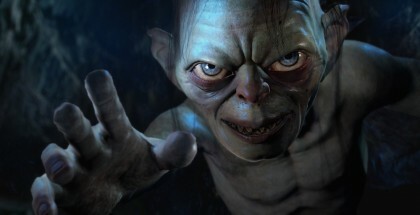 By making orcs more than just fodder to be hurled at you, Shadow of Mordor seeks to flesh out and develop the world. It’s an ingenious system that definitely seems to work. The only issue I could think of whilst navigating the beautiful and expansive world is that you could quite easily get lost in all the complexity. There is so much going on, and so much to keep track of – it’s very hard to stay focussed. On the way to one mission, you encounter several side-missions that could help you along the way: picking a strategy and sticking to it is almost impossible, and getting side tracked is all too easy. This could be the game’s downfall, but for now I’ll put it down to being thrown into the game without much in the way of a tutorial or introduction. Initial impressions, then, suggest that Shadow of Mordor is definitely something to look out for – it’s an enjoyable game with some clever and unique features. For any LotR fans, this is likely going to be a must buy. And for those with less of an interest, it could still be one of the more entertaining action RPGs in recent years.